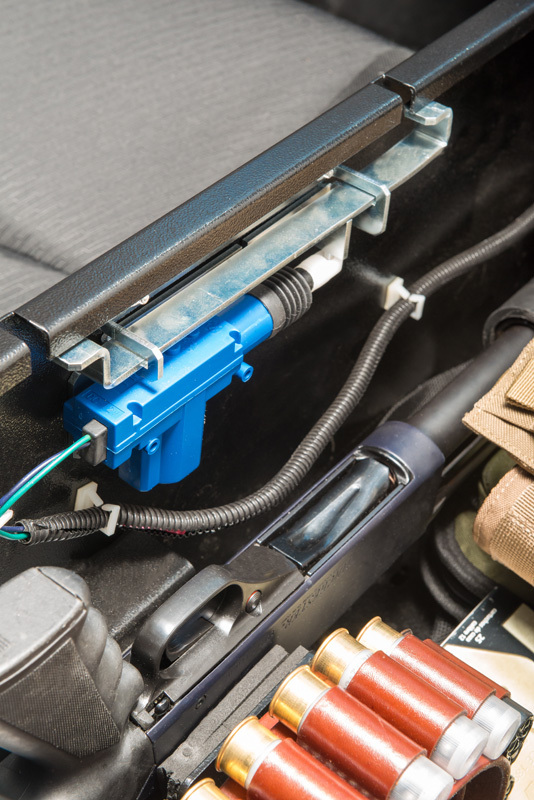 Heracles Research is at the forefront of innovation for car safes. 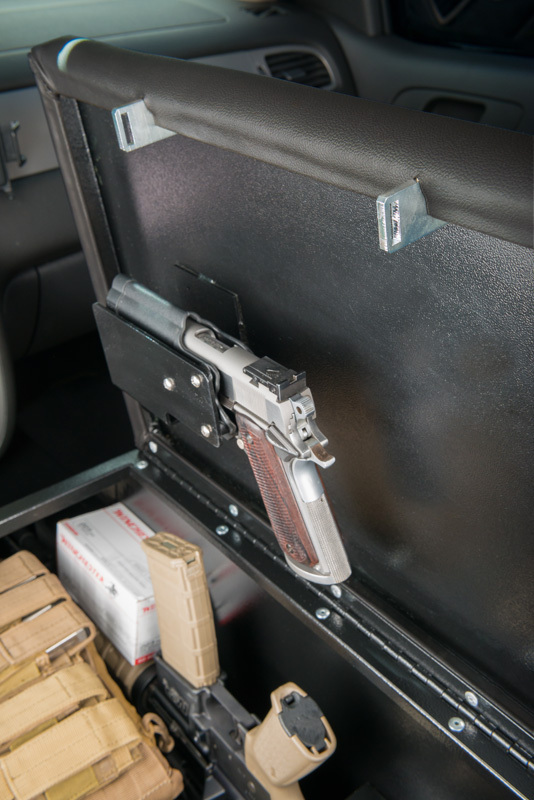 Our Console Bunker provides all the features needed for mobile security and convenience. 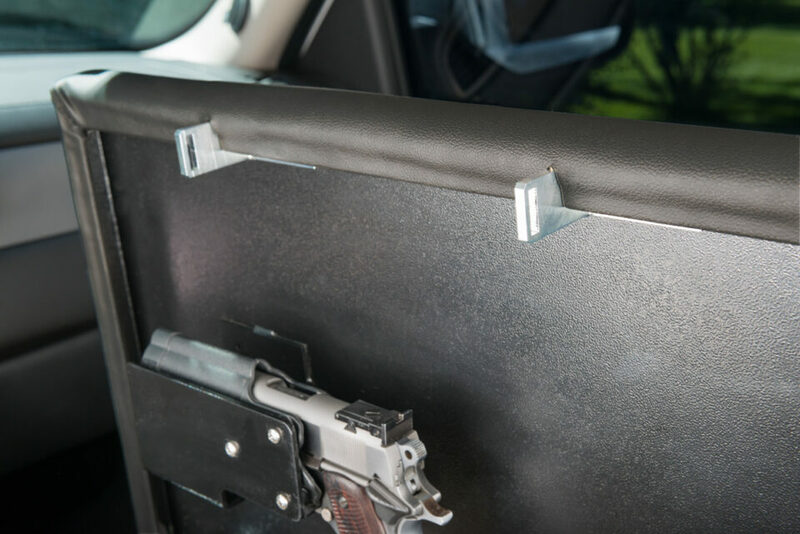 It is 100% American made from steel, and it has a storage capacity that accommodates all sizes and types of firearms, including rifles; there is also added space available for accessories. 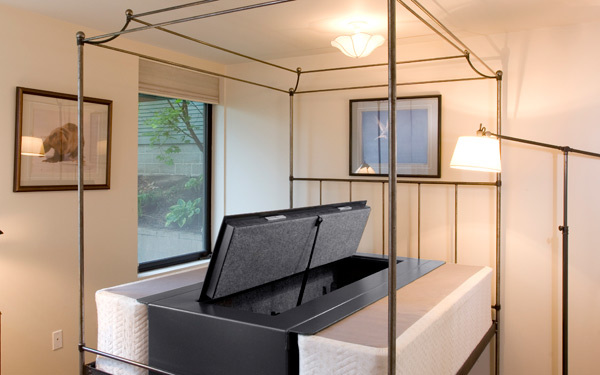 Additionally, the Console Bunker features a timing mechanism to avert unauthorized access to your secured valuables. You can take comfort in knowing that your property is not only protected, but is accessible immediately even while mobile. It is important to be prepared in case of an emergency situation. 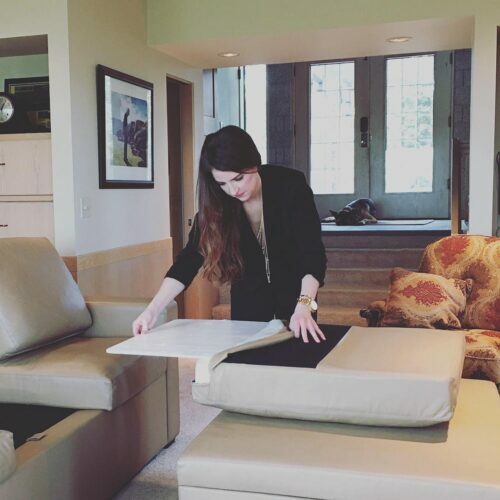 We’re here to provide high quality adaptability, organization, and preparation in accordance with your lifestyle. Made in the USA! 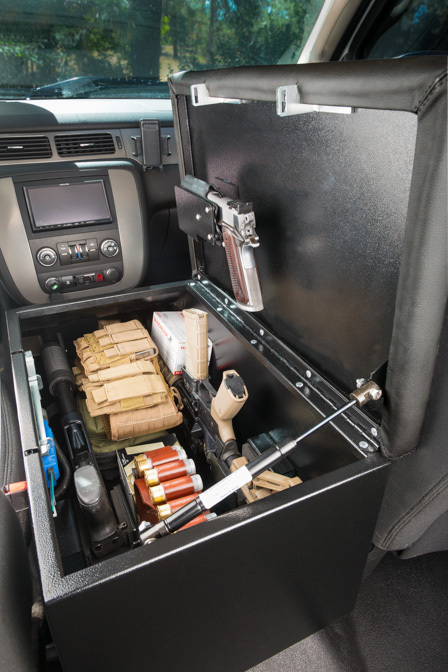 The Console Bunker by Heracles Research is an all-steel center console for firearm storage. The Console Bunker is tied into your factory door locks and has a timing mechanism that prevents unauthorized access. The system holds an M-4, Shotgun and hand gun securely. 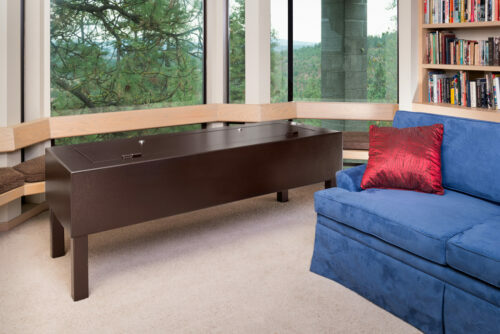 The forward portion has ample storage for a large first aid kit and a fire extinguisher. 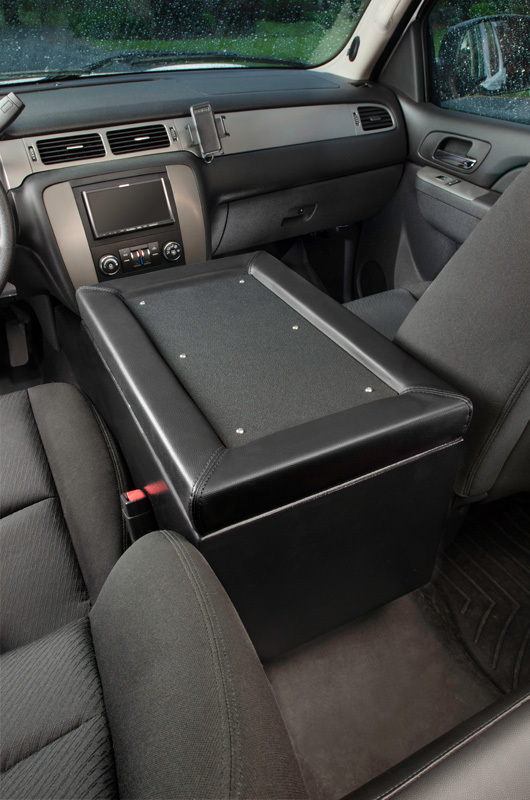 The lid has a non-slip surface, and acts as an arm rest for the front passenger and driver. We also have a few models available that hold radios. 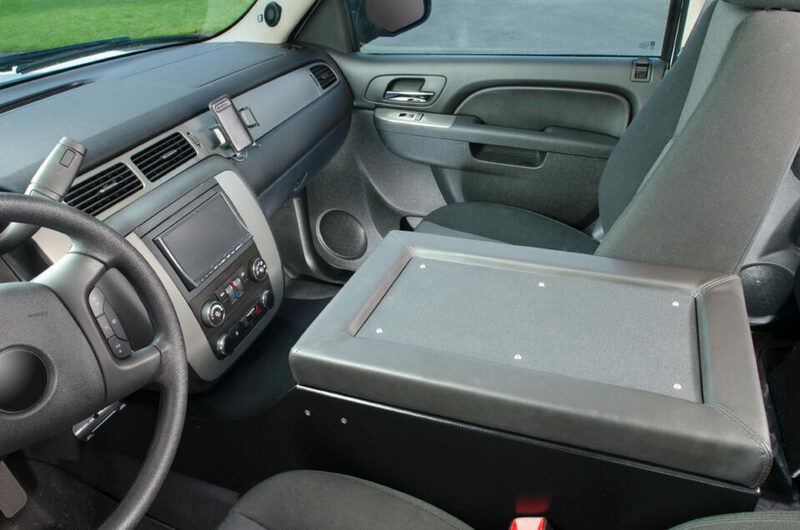 The Console Bunker can be accessed on the fly and there is no loss in foot room for the rear passengers. The Console Bunker is constructed from steel. It weighs less than 75 pounds empty. 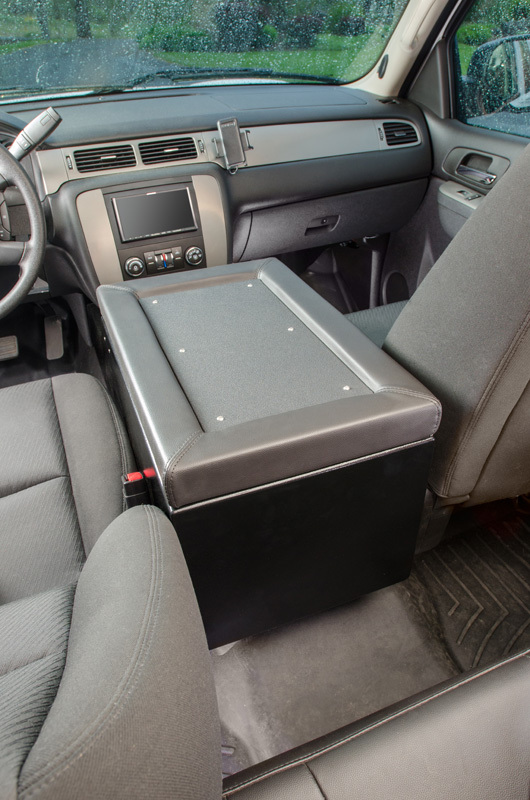 The Console Bunker mount utilizes your factory seat bolts with no drilling. 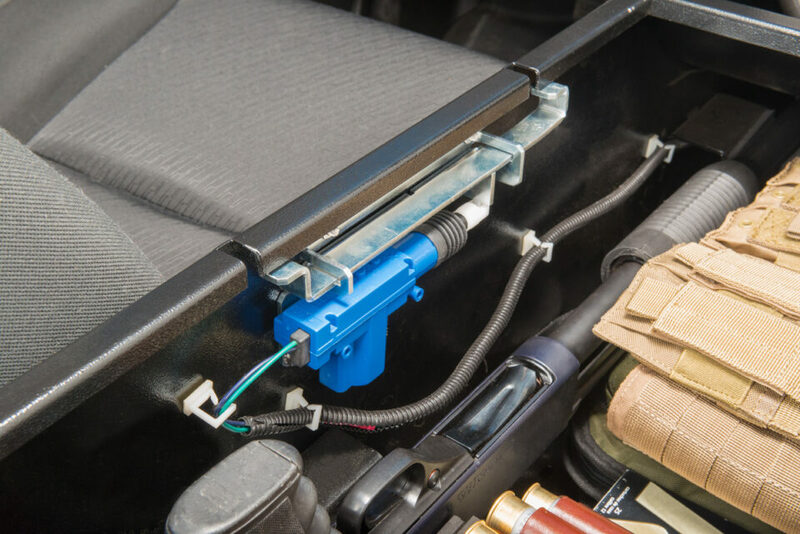 The mount design is the industry standard in law enforcement. 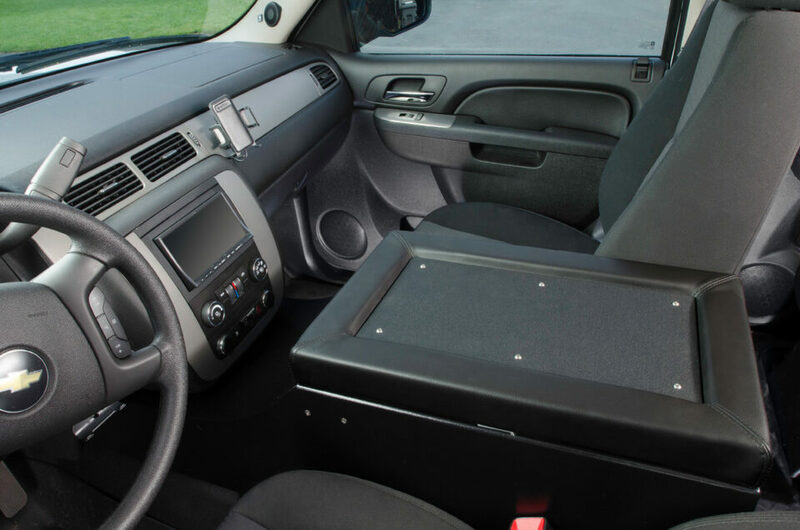 We are currently building the ConsoleBunker for all law enforcement vehicles, including all 2007 and newer American full size trucks and SUVs. Other vehicles are available upon request. Please call for availability in these special cases. 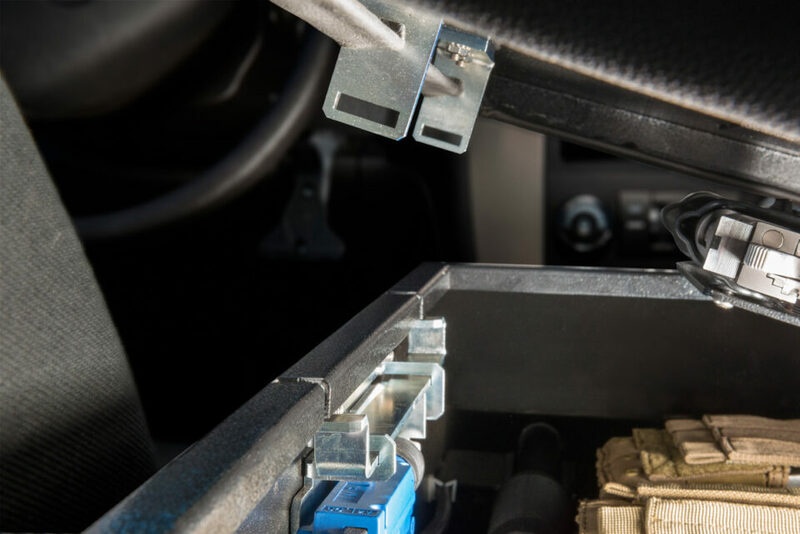 Wiring is very simple and can be performed by any competent car audio installer. The ConsoleBunker is made in the USA.